A favourite in prehistoric times, as the piles of shells found in archaeological digs show, the oyster has always been highly valued. Today, with the season lasting from September to April, the oyster is often to be found on tables at Christmas and New Year. Of the different varieties, the green, round ones are the most valued, but also the most expensive. 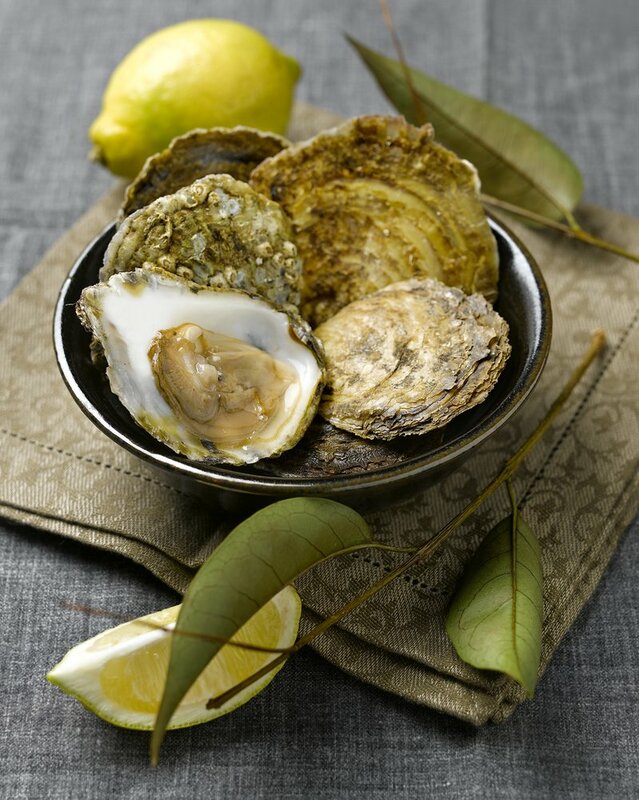 However, other varieties, such as the Portuguese oyster, will also do the trick. Yet, it must be remembered that in storing or presenting oysters, the concave side should downwards to contain their juice. In the British Isles, oysters are traditionally eaten accompanied by a good stout, the black beer made famous by Guiness. According to Galician writer and food-lover, Álvaro Cunqueiro, in the 18th century, the majority of oysters produced in his native land ended up in London. However, the country that consumes the most oysters has always been France. There are countless references and anecdotes to the oyster in French history and literature. In 17th and 18th century France, the general consumption of oysters was so great that it even gave rise to a profession, the écailler, whose job was to open the molluscs. In fact, demand grew so much that wild oysters just about disappeared from French coasts and most are now the product of aquaculture.